Companies like Google used MOONSHOT thinking to create an innovation giant. HOW? 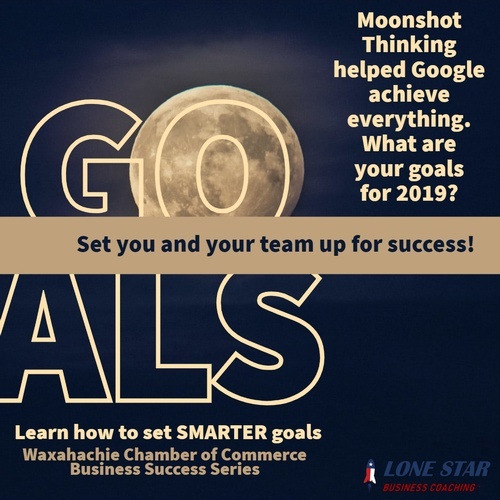 Google set in place a process of Goal Setting that harnessed President John F. Kennedy's Moonshot thinking. In the early 1960's when the technology didn't even exist to achieve what he envisioned he boldly declared, "We'll put a man on the moon before the end of this decade." AND WE DID... why? Because that goal focused us, it caused us to dream up new inventions, to achieve, to act. Don't just DREAM about more success - Take ACTION TODAY!